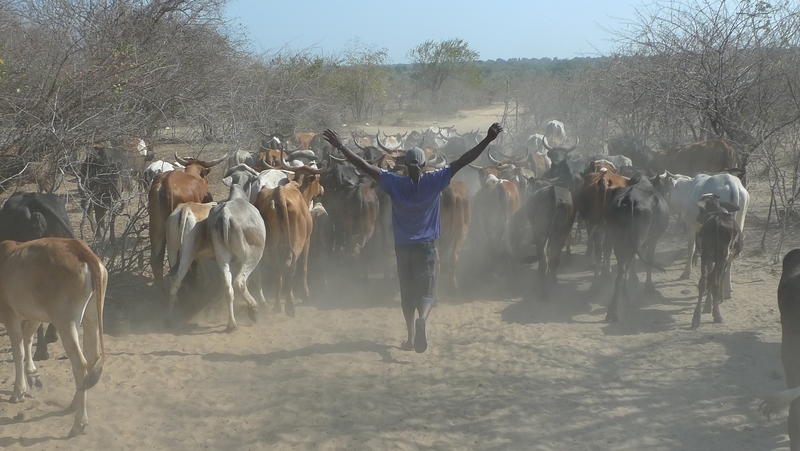 In the past, traders used the so-called trade winds along the Mozambican coast to make business. From April to October, the trade vessels and dhows followed the southeasterly Kusi, and then made their way back with the northeasterly Kasikasi between November and March. Today, more and more kitesurfers are spotted along the coast, steppi ng into their shoes and being attracted by the turquoise water and sandy beaches. They prefer Kusi, though: Kasikasi comes along with the rainy season and is less consistent. 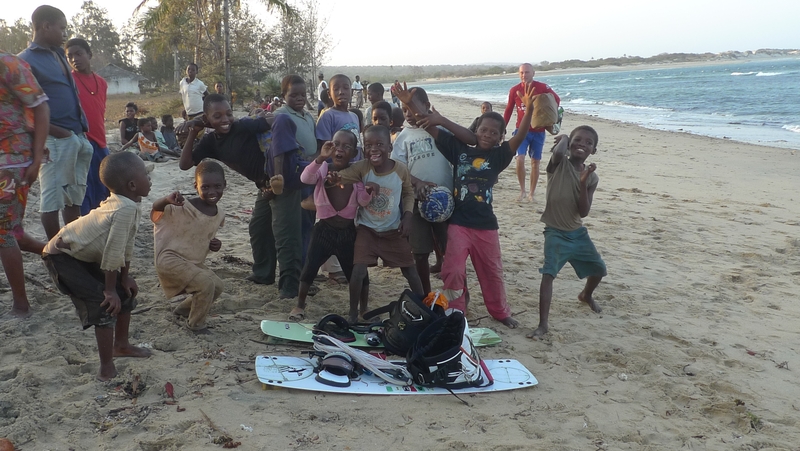 Estimations of locals as of October 2011 count up to ten kitesurfers living in the Pemba area, one on Ibo Island, two in Nacala, one in Beira, 40 in Maputo, three in Tofo and two in Ponta d’Ouro. Getting excited? Yey, exactly! You have the ocean all to yourselves – there is not a strong trading competition and you can go ahead with trading all goods you can easily take on a kiteboard. Like fish. It could be a serious alternative for Mozambicans flying from north to south or the other way round and their co-travellers; they have been seen bringing their own local fish from the northern down to the southern coast on the plane. I mean, you never know what you can expect from that fish over there, right? 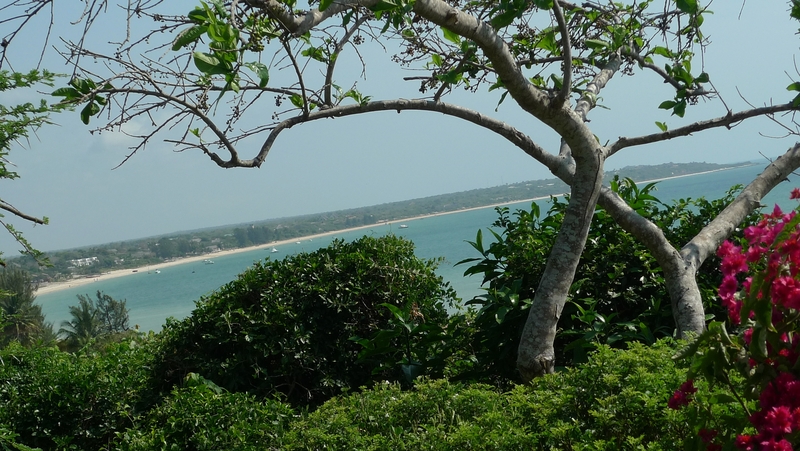 We start in Murrebue, northern Mozambique, close to Pemba. Carlo from Il Pirata is the man to contact. He knows the northern region like his pocket, likes advent ure and is keen on kiting in good company and have fun. Murrebue is perfect for all skill levels, with flat-water and more swell as the tight comes in. Il Pirata provides everything a kitesurfer can dream of, including smashing pumping service, the most gorgeous accommodation, bar and restaurant (with delicious Italian cuisine) we have seen on our way through the country. After a dreamlike morning session, we take our 4×4 and drive along plain red sandy roads through Polynesian-style straw-hut villages, surrounded by African bush, “topped with” Baobab trees. Direction Mekufi south of Murrebue. First spot is in the middle of Mekufi “town”, next to the river mou th, Miramar restaurant and Paradise guest house. Conditions are only for advanced kiters; you have to be able to go upwind 100% sure. The place is a bliss for wave lovers, though. There is only very little space for launching your kite: The beach is very tight, you have to walk onto the hinterland bush grass; trees narrow the beach widthwise. There are also bushes in the water, around ten meters from shore. The reward: Highly enthusiastic local audiences who cheer for you to get that thing up in the air and finally start riding. Next spot: no-name-land. If you turn right at the junction before entering Mekufi and then left at the petrol station, your 4×4 will follow a walk path through even more bush land. I must admit, I haven’t even recognized that petrol station at second sight, but locals are helpful finding the route. If you don’t see any sea and think you are on the wrong way: keep going. You end up at the next river mouth 2 km south of the last one. At low tight, there is a long sandbank between the river and the ocean. You can walk your way through the river to the sandbank before tight comes in and launch your kite from there. By then, current is getting stronger and stronger, the sandbank starts to disappear. At high tide, you can more easily make your way back to shore as the current is not that strong any more. While you are away, find a local to watch your car as they could otherwise misunderstand it as a present of nat ure. Adventurous? Unfortunately, time was too short to join more of Carlo’s kite spot discoveries and ideas. Such as a spot called “Mama Galp” because you have to go through the private land of a lady who is running a local “Galp” petrol station. Il Pirata lives up to its name and is waiting for more fun people to come explore, kite, get to know the country. By the way: another fun option are downwinders between Mekufi and Pemba Lighthouse via Murrebue. 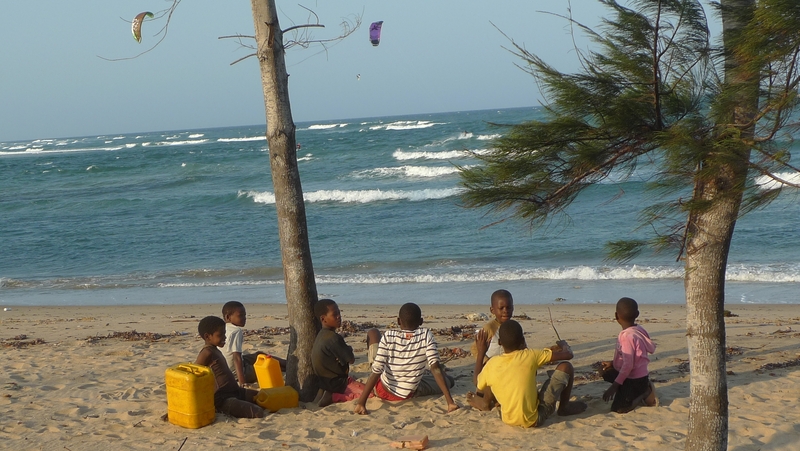 Along the southern Mozambican coast, the southeasterly is the predominant wind; conditions are similar to those in South-African Durban. Many of the potential spots and terrific, sandy beaches are located north of a headland, south of which y ou find a reef very close to shore. Many times, there are dunes along the beach. Therefore, you will mostly find the best wind a bit further north of the little cape. 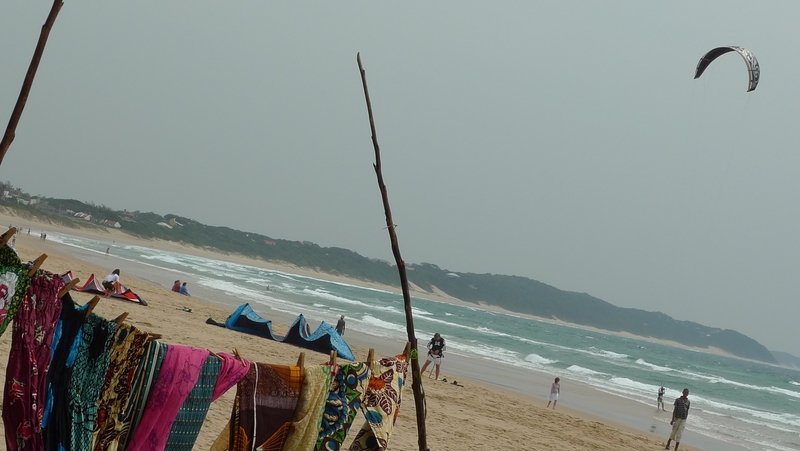 Ponta d’Ouro is the most southerly spot, next to the South-African boarder. Between Boane and Ponta d’Ouro, there is no petrol station or ATM. 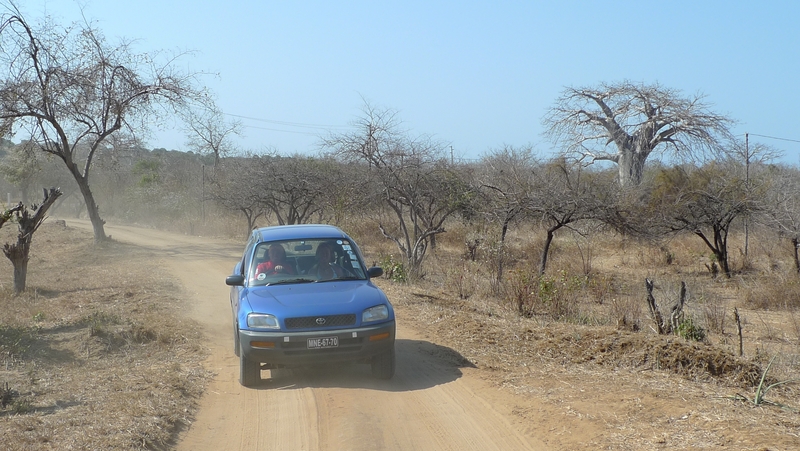 It’s off-road through the bush. Without a 4×4, you will definitely get stuck in the middle of nowhere as there are all sorts of difficult r outes you could imagine; roads with millions of potholes, red sand, deep white sand. The last stretch (at least 30 km) is a net of traces over a landscape of dunes, leading to the village – no signs indicating the direction, no huts or people on your way. You can choose either trace and will always arrive, sometimes spotting another 4×4 on the horizon which has taken another track. Kiters love downwinders to or from Ponta Malongane and Ponta Mamóli; for the obvious reasons described above, it’s advisable to stay away from shore around the typical Southern Mozambican ledges to escape the area shelte red from the wind. 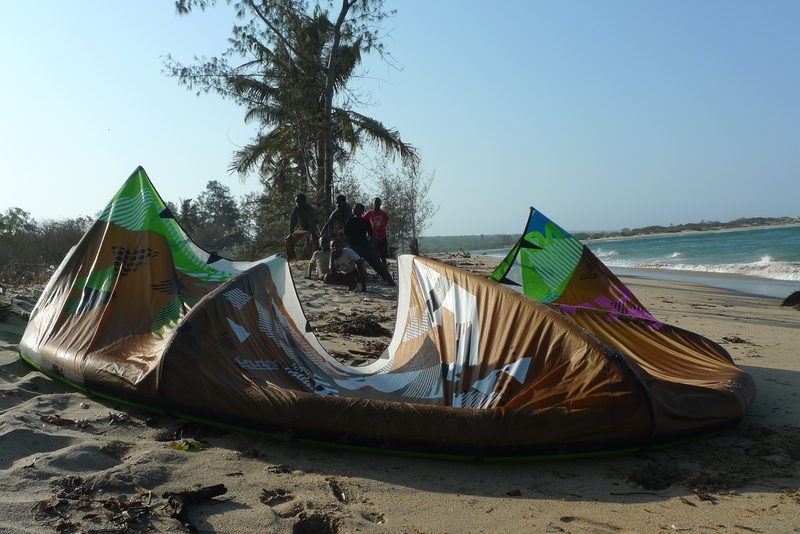 Ponta d’Ouro has the only kiteschool we have found in the South of Mozambique. Around the capital of Maputo, Inhaca Island and the beaches just north of town also seem to be kiteable. Heading towards the perfect flat-water training spot Bilene, the landscape becomes much greener. The last 30 km are off-road with these sweet little straw huts, a couple of which around a square form a tiny family village. Children along the road sell cashew nuts, piri-piri or “fresh” fish in their little “shop” on the roadside. Mozambican women carry everything on their head, including handbags. 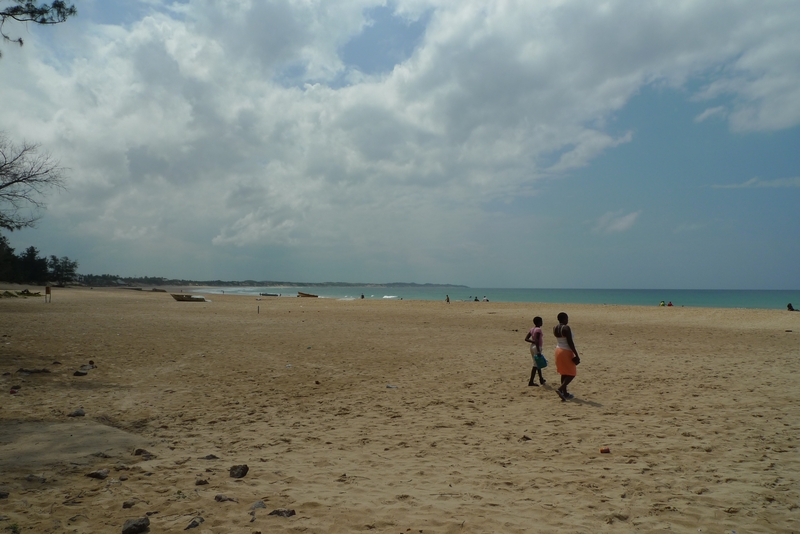 At Bilene’s shallow, flat-water lagoon, wind comes potentially side shore towards Praia do sol. Further north, forests of palms everywhere. 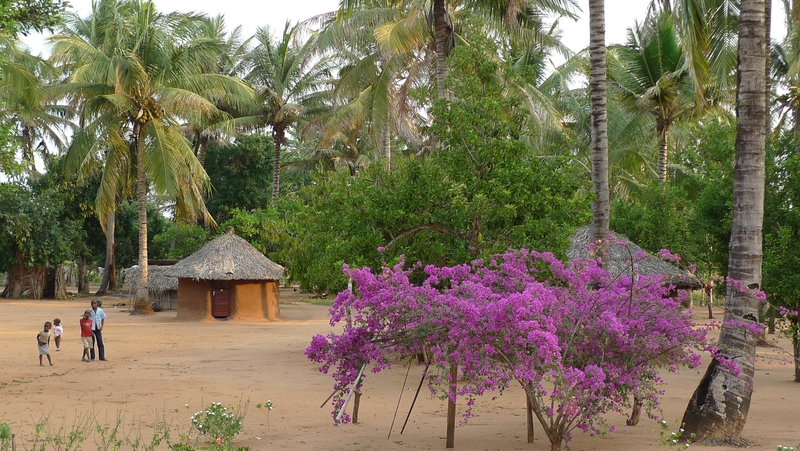 In Praia do Xai-Xai you are back in Portuguese colonial times; once a busy colonial village with beach restaurants and resorts, it is now deserted, like most colonial-style houses on our way. You often find straw huts just besides and tend to wonder why they don’t just live in the more robust houses that are already there. 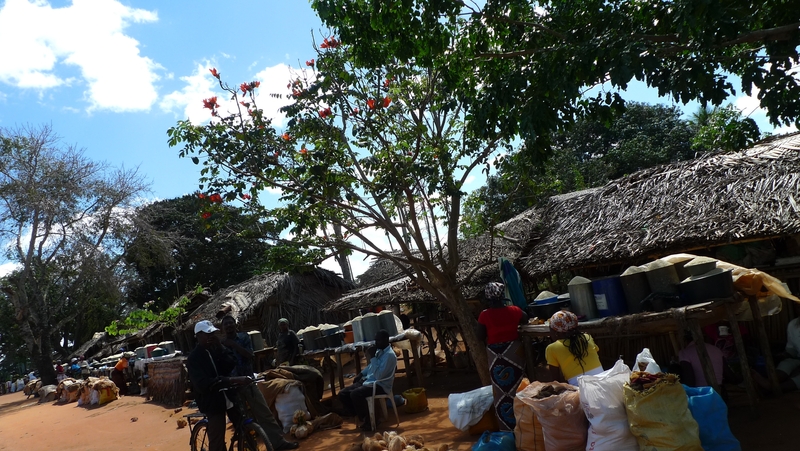 But Mozambicans seem to be happier in their traditional little huts. 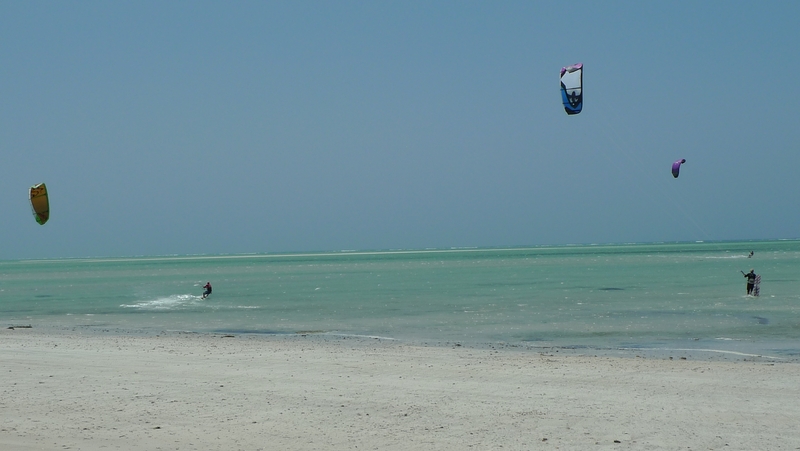 All along the long beach, there is a reef very close to shore which makes kiting potentially difficult. 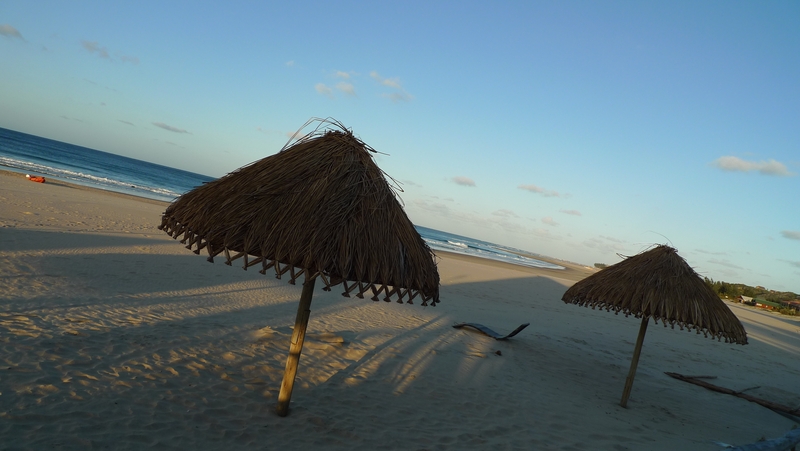 Praia do Chidinguele is a nice resort with a km-long beach, kiteable with some swell. 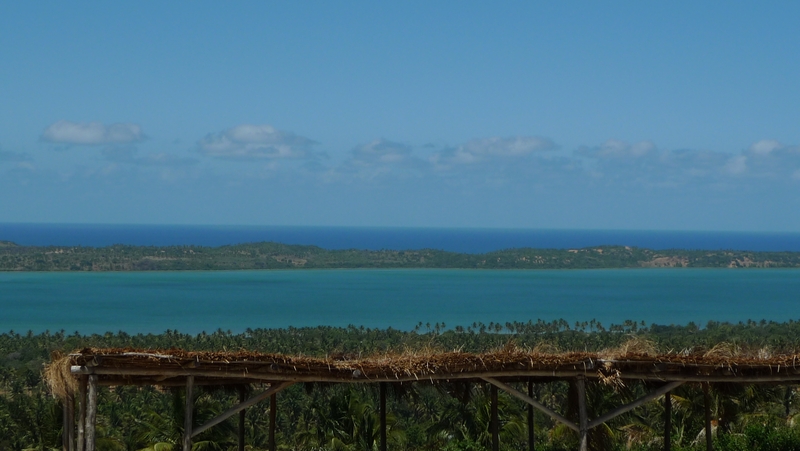 Quissico – a whole town being a lookout point over a couple of lagoons just next to the ocean with no beach access. 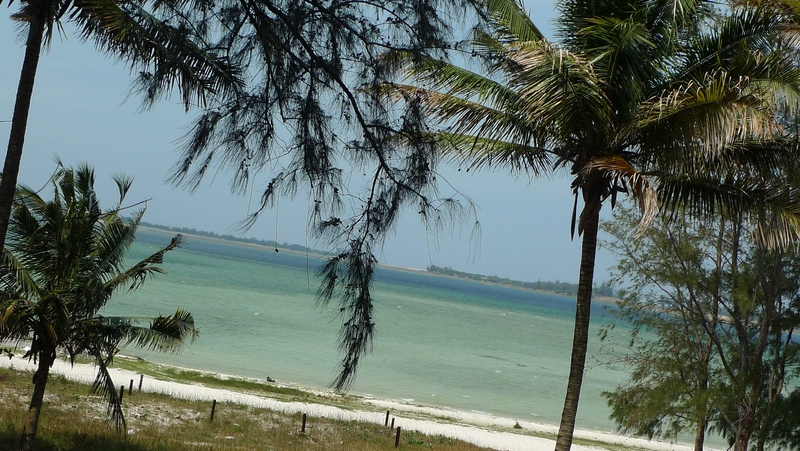 Just before the bridge of Inharrime, there is the huge Lagoa Poelela with turquoise water, sandy beach, flat-water. Nice kite stopover on your way to Závora Lodge; again, off-road driving to what is supposed to be a beautiful dive spot just next to shore. There is a little cape in the south, with the typical reef very close to shore south of it. Whale-watching is included from the balcony during breakfast. The lagoons on the way don’t provide space for launching your kite. The previously round huts become more and more square with little gardens the further north we drive, and more colonial houses are lived-in or of any other use. 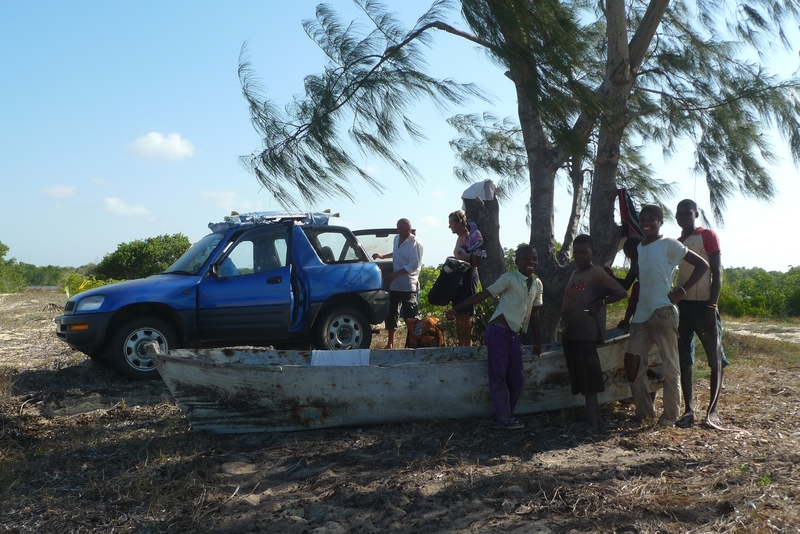 West of Inhambane, there is no beach access due to mangroves. Tofo and Barra are much better for kiting, but both have that little cape in the south and are backed by dunes; southerly winds come in offshore and have to make it over the dunes. For Barra, you need a 4×4. 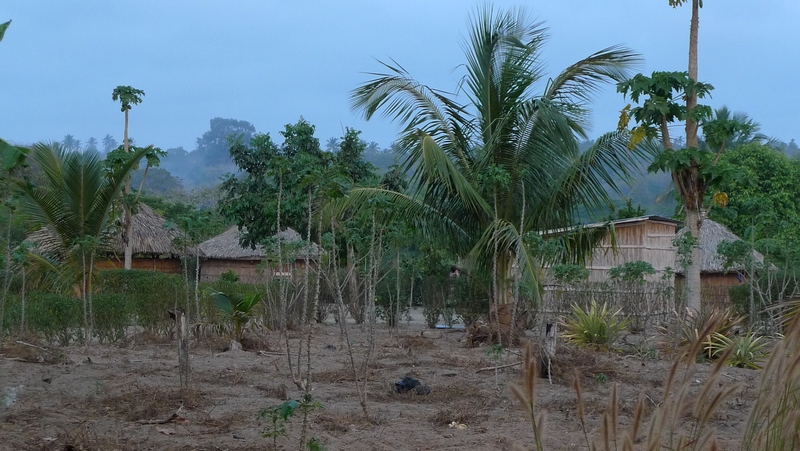 Vilanculo, start of Baobab area. More bush and kiteable beaches. You find the best ones further north of town. 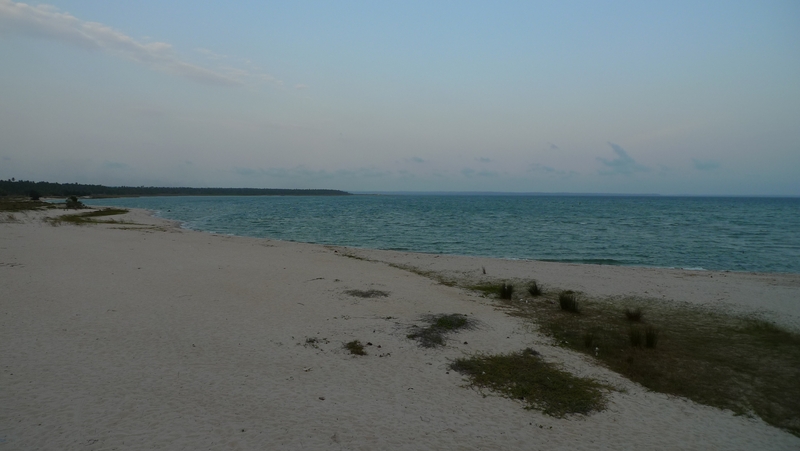 Locals say that the wind does not find its way very often to Vilanculo village beach. 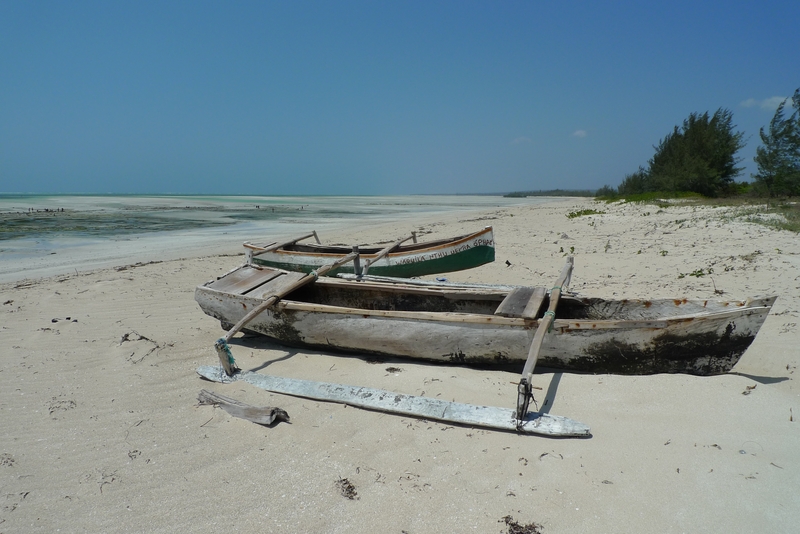 If you have the time, hire a dhow to paradise-like Bazaruto Archipelago where the wind often hides from the mainland. 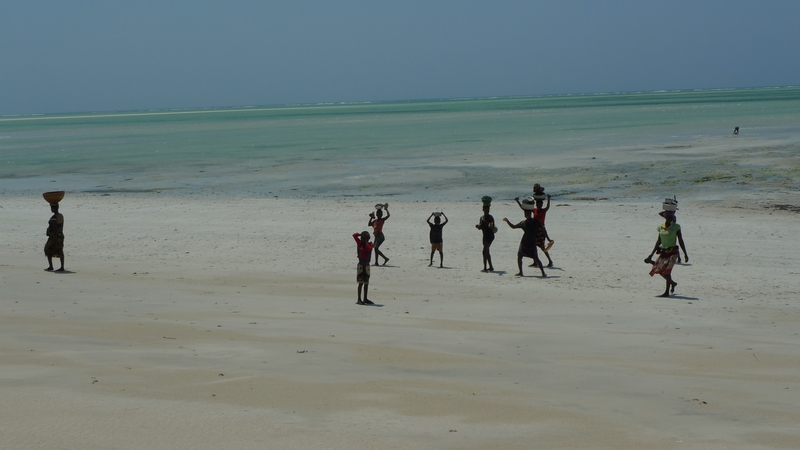 On the way, Murrungulo Beach Resort might be another option, but we haven’t been there. Pomene could be a bit difficult due to the Pomene Reserve with lots of mangroves. Further north of Vilanculo, the main road N1 turns far away from the seaside. The last stop along the southern coast is Inhassoro, of which even Lonely Planet says: “no surf or breeze except during storms when the wind stirs up the waves a bit”. I have seen a couple of signs on the way catching my eye and pointing towards the seaside, they might be worth checking out – and I will definitely do next time I’m in Mozambique: Chizavane Resort at the so-called lagoon; Dunes de Dovela and Dongame Resort north of Závora Lodge; Bay of Shells ( Baia das Conchas) north of Maxixe. It is difficult to follow the wind according to wind forecasts (if you find internet at all) as you need some time to drive off-road to kiteable beaches. So you better have lots of time to stay in a place for a while and wait for the wind. 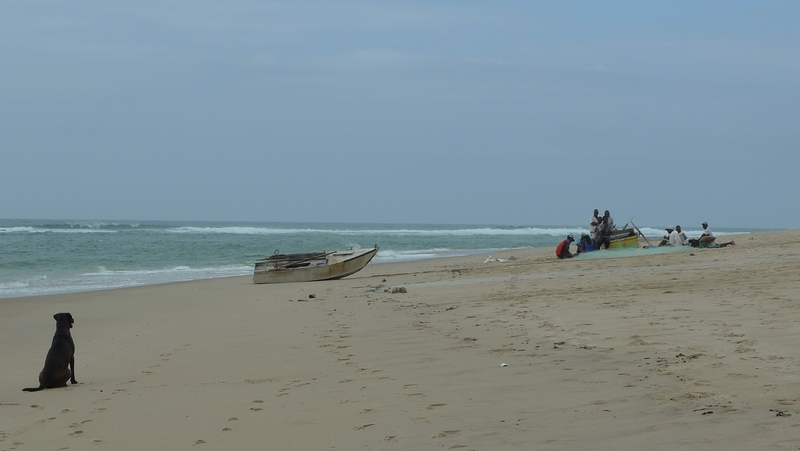 Apart from the few off-roads going to some accessible beaches, it is very difficult to reach the sea at all. The country is a real adventure as still unexplored and undeveloped. To go somewhere by public transport takes ages; don’t expect to find an accomodation everywhere you go. There is a limi ted choice of food and that’s why you get kind of the same menu everywhere. Internet, especially wifi, is rare (apart from Maputo), just the resort landlady or landlord might lend you her or his notebook for some minutes. But people seem to be just happy and don’t need anything more. Be prepared to a lovely country with friendly and smiling people. I have rarely experienced such a smile and joy when giving a tip or even just leaving behind some clothes. If you like the kind of holidays where you just kite, backpack, “dive into” country and people and feel far away from everything else in this world, you will love it.